Here you can find GUIs that I have created in Matlab that can be used to understand basic features about commonly used option pricing models. You will need a working version of Matlab. From within Matlab, open the App tab and click on the “Install App” button. From there, select the file (i.e. GUI) that you have downloaded. You will then find the App in the “My App” Panel in Matlab. A detailed guide on how to use the GUIs can be found in the Option Pricing Toolbox manual. Enjoy! 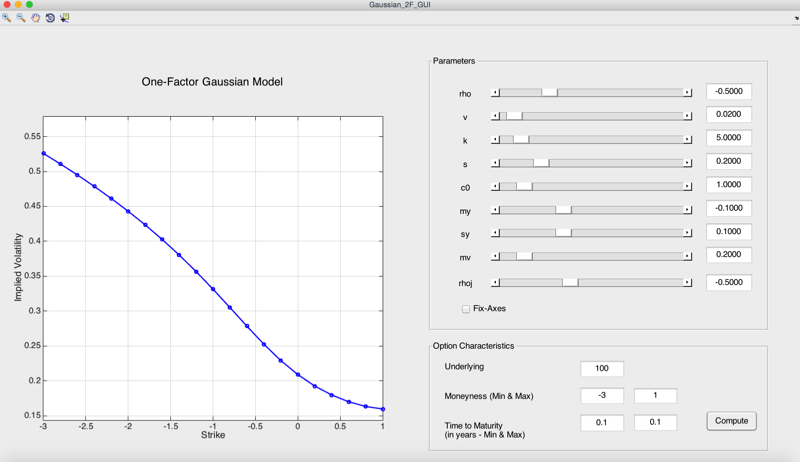 This GUI shows the role of the parameters of the model described in Duffie, Pan, and Singleton (ECMA 2000), also known as double jump model. It is a one factor model with correlated jumps in returns (gaussian jumps) and variance (exponential jumps). It corresponds to the SVJJ model p. 1362 of Duffie, Pan, and Singleton 2000. 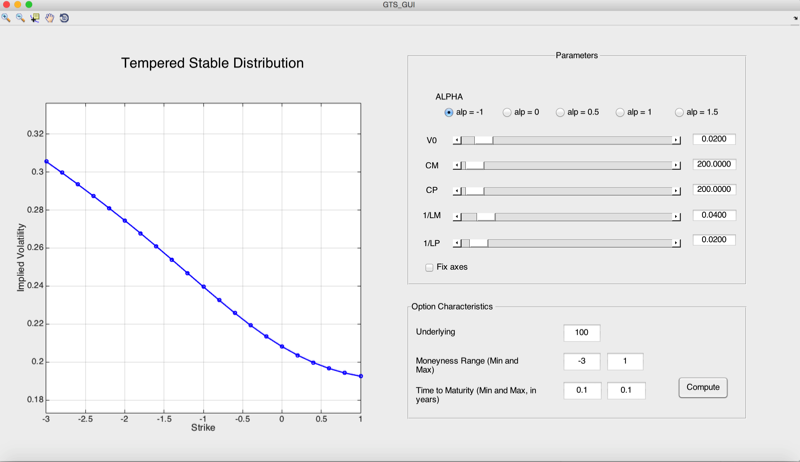 This GUI shows the role of the parameters of the Generalized Tempered Stable model. For a description of the model see Cont and Tankov, 2004 (Financial Modeling with Jump Processes) p. 119. 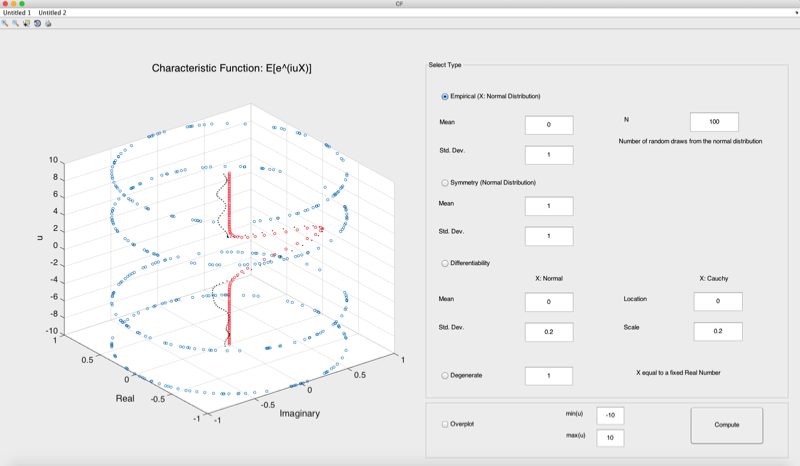 This GUI shows some of the interesting propertied of the Characteristic Function, which is at the heart of the option pricing literature.